Babylonian amora; last head of the Pumbedita Academy. He was the successor of Raḥumai II., and officiated for about twenty years (456-476). He was a contemporary of Mar b. Ashi and of Rabba Tusfa'ah. Tradition relates that, in consequence of the prayers of the two school-leaders Mar b. Ashi and Sama b. Rabba, Yezdegerd II. was devoured in his bed by a dragon with the result that the persecution of the Jews ceased. 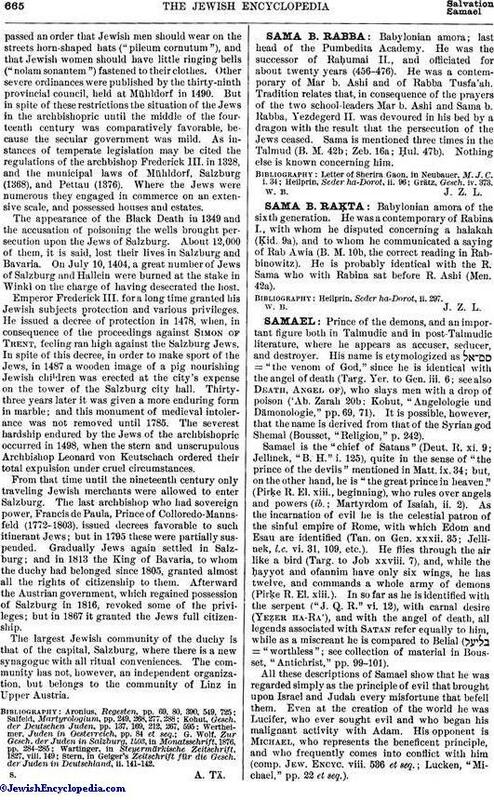 Sama is mentioned three times in the Talmud (B. M. 42b; Zeb. 16a; Ḥul. 47b). Nothing else is known concerning him.